A couple weeks ago I was thrilled to attend my very first Lise Watier event at the luxurious Loden Hotel in downtown Vancouver. If you've never heard of or tried Lise Watier before, then it's high time you learn more about this great brand. Launched in 1972, this Montreal makeup brand is available primarily in Canada, but also world-wide in countries such as France, Russia and the Philippines. My previous impressions of Lise Watier was that it was aimed towards an older demographic, but lately the brand has revamped itself to include products designed for younger women as well. The event at the Loden was a veritable who's-who of the fashion set in Vancouver. There was delicious eats, beautiful products to ogle over and even a large ice sculpture of the iconic Neiges perfume. The classic Neiges perfume is celebrating its 20th anniversary and even 20 years later, this scent is still modern and desirable. 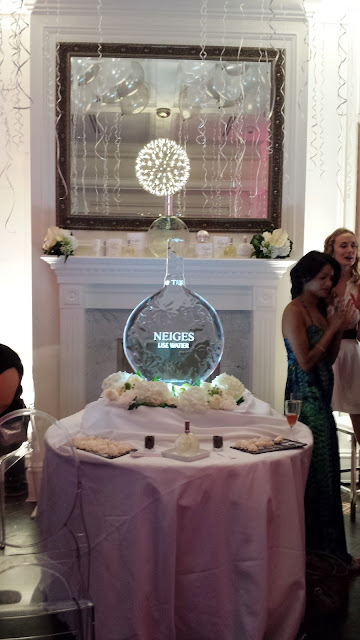 Neiges is an extremely light and subtle scent with notes of Hyacinth, Lily of the valley, Rose, Jasmine, Magnolia and Sandalwood - that's a lot of strong florals, but somehow they combine into a fresh, feminine scent that isn't overpowering. I see Neiges not as an appropriate scent for girls, but for women in their 20s and beyond, as it's a sophisticated scent that can really grow with you over a lifetime. 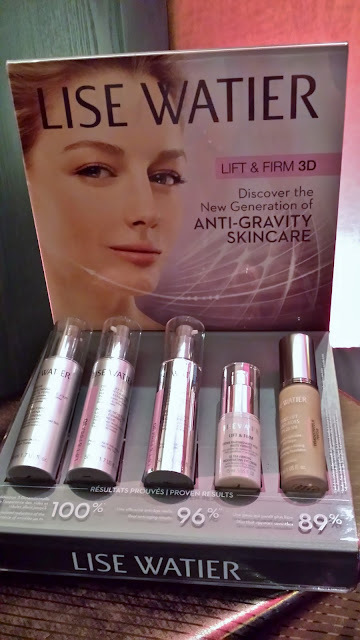 Another new revamp of a current LW product is the Lift & Firm 3D moisturizers. The old formulation has been discontinued and remixed into this new formula featuring an exclusive peptide complex designed to provide smoother, tighter skin in 89% of testers. The line consists of a rejuvenating day cream, a ultra firming day cream for drier skins and a night cream. 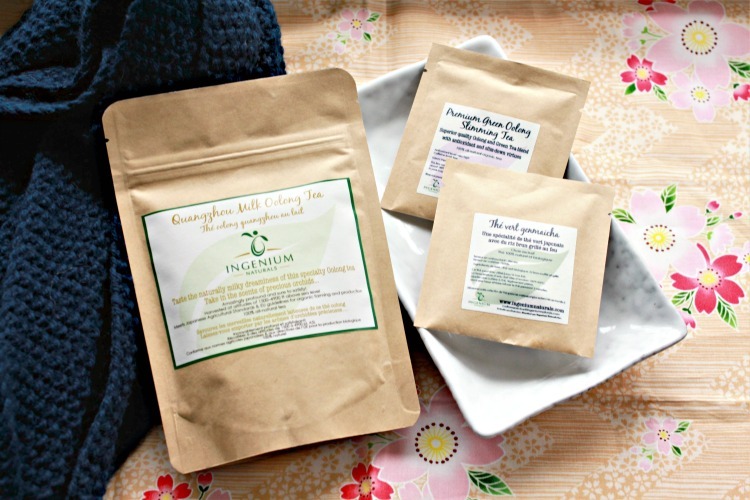 Prices range from $62-72 and these creams are intended for more mature skins. 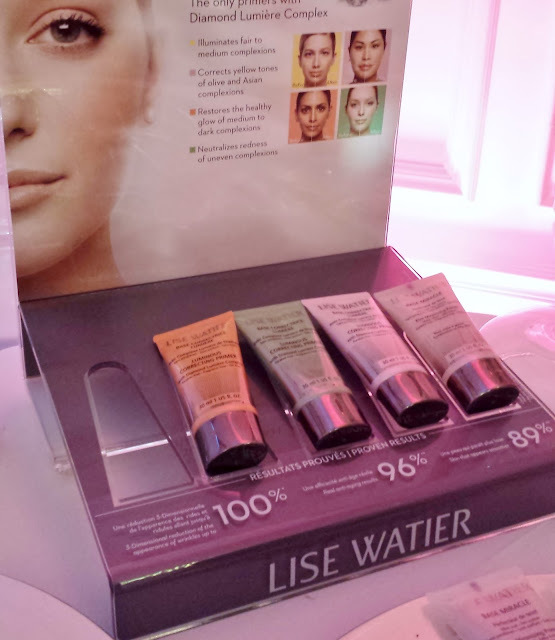 Lastly, for the younger set, Lise Watier is launching a new line of primers called the Base Miracle line. Within the line there are 2 variations. The pure Base Miracle primer contains vitamins A and C to moisturize and repair skin while its lightweight silicon-based formula mattifies skin and provides a silky-smooth surface for your makeup to adhere to. If you're a no-fuss person, you could throw this in your purse and use this to eliminate shine on your face all day. The other Base Miracle primers offer the same mattifying and priming features, but are also tinted with a slight shimmer to illuminate your skin. Providing similar benefits as a BB cream (although without SPF), this version comes in 4 different shades: Banane (fair-medium skin with pink undertones), Rose Lilas (olive and Asian skintones), Abricot (medium-dark skintones) and Vert (very pink-red, blotchy skintones). I was quite surprised that out of all my friends attending this event, I was the only one who didn't receive the Rose Lilas color, considering we are all Asian. I was given the Banane since I had told the MUA at the event that I tend to have a bit of rosy blotchiness on my cheeks. Was this some sort of unintended joke at my lack of Asianness??? lol I guess I'll have to find out later when I do a full review on this product! If you're in Canada, you can find the full line of Lise Watier products at your local Shoppers Drug Mart. As well, I received an extra sample of the Something Sweet perfume in my goody bag, so if you would like to win it, leave a comment on this post before Saturday, September 7 to enter! I have never heard of this brand but would love to try it! Oh, sign me up for your free giveaway. Does the product go by skin type and race? Usually when I buy products my skin tends to be a lot more fair than the average asian skin tone. i end up getting something 2-3 shades lighter. Sadly I don't think it's available in the US, so that's probably why you haven't heard of it! Their products aren't normally categorized by race; I think it was just a coincidence with this one primer that they tried to target typical Asian skin tones.